Standard & Poor’s Global Ratings in its recent extraordinary assessment has affirmed long- and short-term foreign and local currency sovereign credit ratings of the Republic of Azerbaijan at 'BB+/B'. Azerbaijani Finance Ministry in its message May 27 said the main reason for the S&P extraordinary assessment was the restructuring of the International Bank of Azerbaijan’s foreign liabilities and the transfer of a part of them to the government. 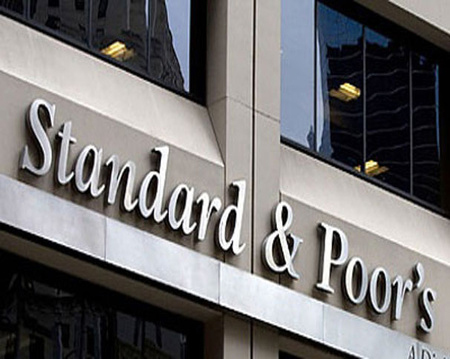 S&P specialists note that the growth of the ratio of Azerbaijan’s external debt to the country’s GDP as a result of restructuring of foreign liabilities of the International Bank of Azerbaijan (IBA) was taken into account in the agency’s January forecast, so now this process will not affect Azerbaijan’s ratings. S&P estimates that as a result of the restructuring, Azerbaijan’s net general state debt could increase by about 9 percent of GDP due to the direct assumption of IBA’s foreign liabilities and SOFAZ’s deposit in IBA, which the ratings agency excluded from its calculation of state liquid assets.